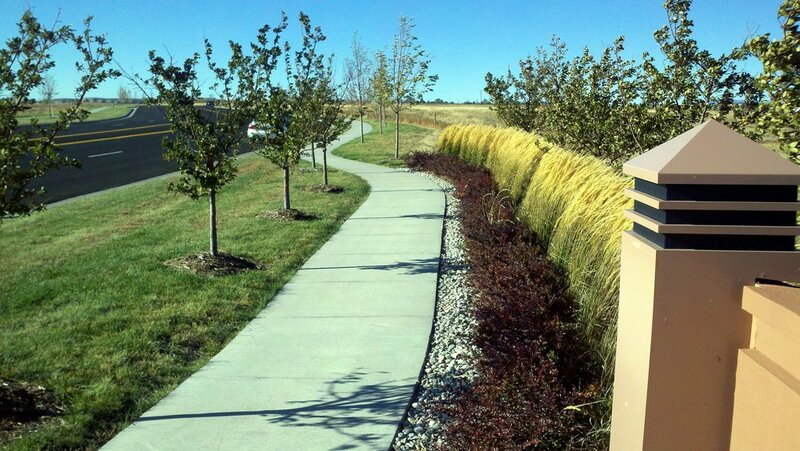 Compark — Plan West Inc.
Plan West started the land use planning and design process for Compark in 1993. We continue to work with the original owners with ongoing planning and design services. The 600-acre site in Douglas County and the Town of Parker continues to grow into a destination, mixed-use business campus. 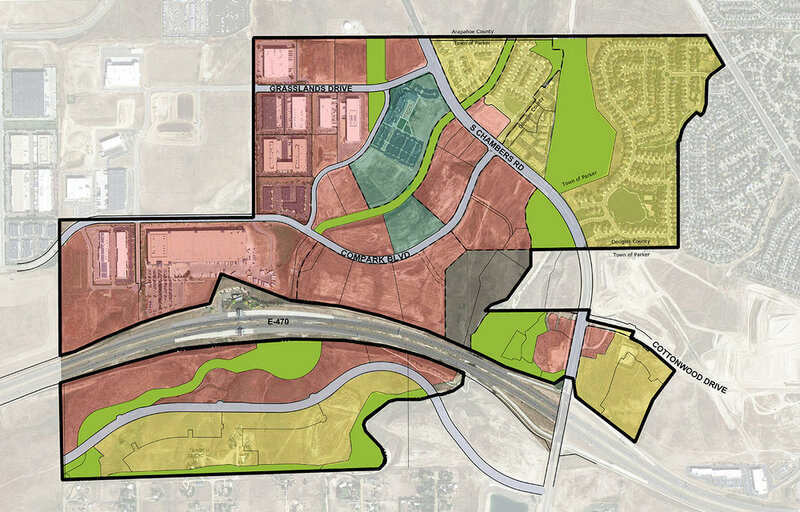 Flexible zoning in Douglas County and the Town of Parker have been the backbone for the long-term success of the mixed-use devilment. The combination of office, showroom, distribution, and research facilities are combined with single and multifamily residential neighborhoods to create a great place to live and do business. 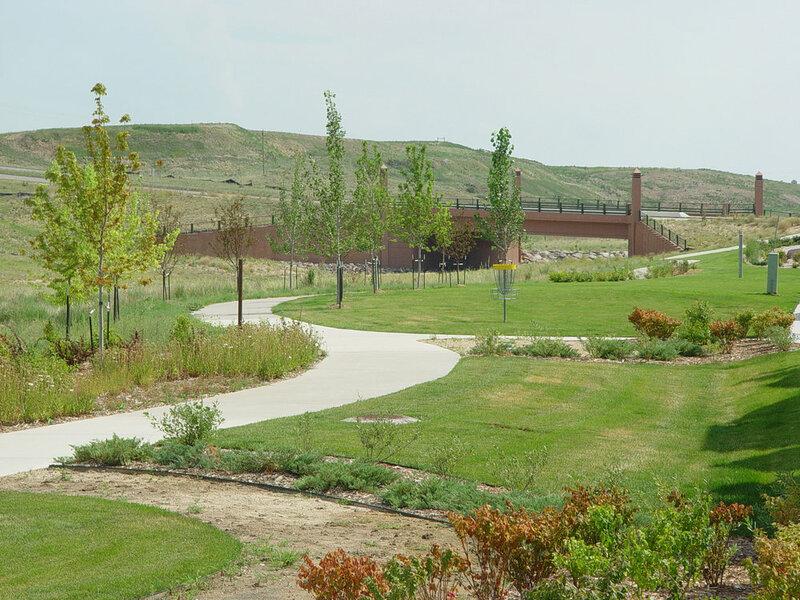 Home of The Rocky Vista University, a private medical college of osteopathic medicine, Compark has become a cornerstone for the Town of Parker and the E-470 corridor.